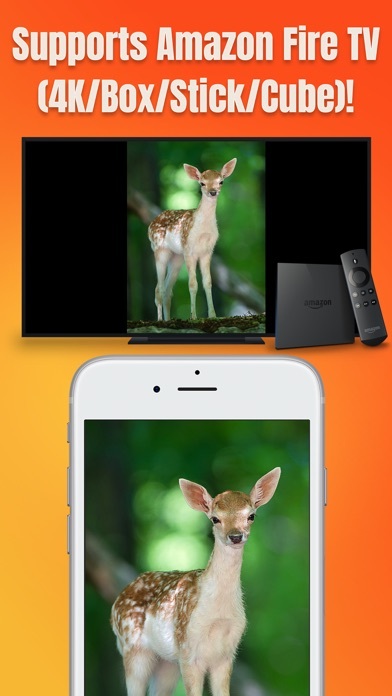 * Wirelessly mirror any app – or anything else on your iPhone/iPad screen – to your Amazon Fire TV via your home network! 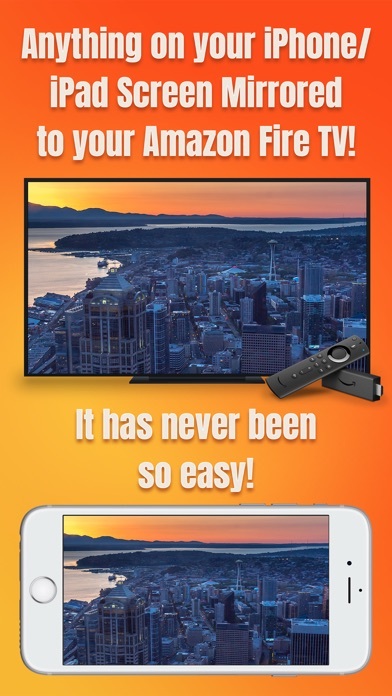 * Designed for any Amazon Fire TV, e.g. 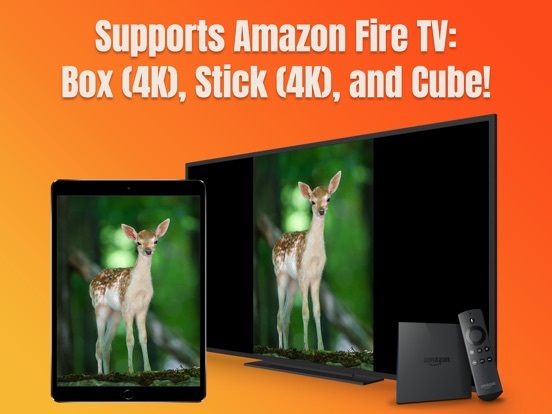 Fire TV Box (4K), Fire TV Stick (4K), Fire TV Cube, and various Fire TV-powered Smart TVs (Insignia, Toshiba, Element, etc.)! * This unique app can directly mirror your iPhone/iPad screen on your Fire TV without you having to install any third-party apps on your Fire TV. The app works natively! 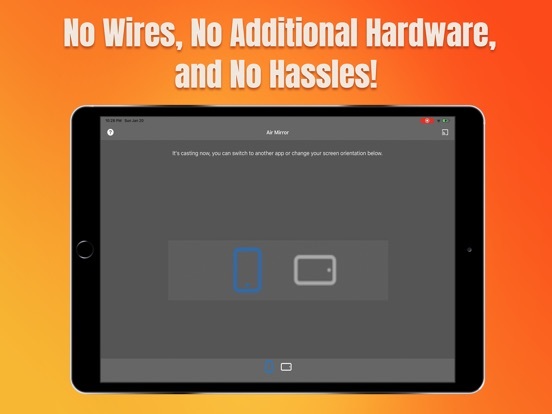 * No wires, no additional hardware, and no hassles! It's simple! 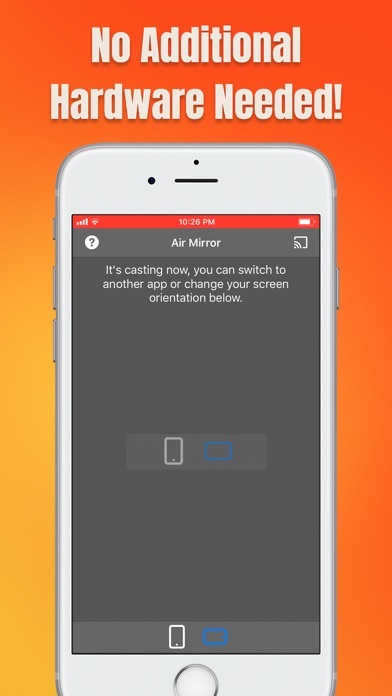 Air Mirror App wirelessly mirrors your iPhone/iPad screen to your Amazon Fire TV via your home network. Just follow the below guide to complete the initial setup, and your iPhone/iPad screen will appear instantly on your TV! It's great for watching movies, viewing photos, making presentations, web browsing, and much more! 3. 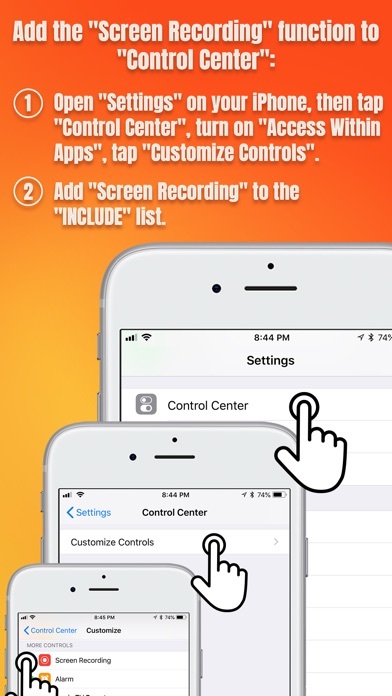 Scroll down and look for "Screen Recording" in the "MORE CONTROLS" list. 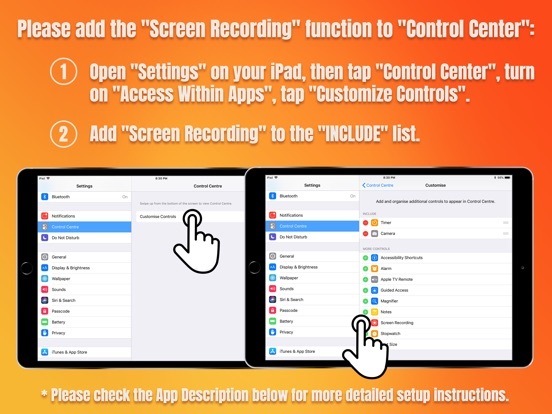 Then tap the green '+' button to add the "Screen Recording" control to the "INCLUDE" list. 1. Make sure your iPhone/iPad and your Fire TV are connected to the same WiFi network. 3. Long Press / 3D Touch the "Screen Recording" control (NOT "Screen Mirroring") to open the app list, select "Air Mirror for Amazon Fire TV", then tap the "Start Broadcast" button. 4. 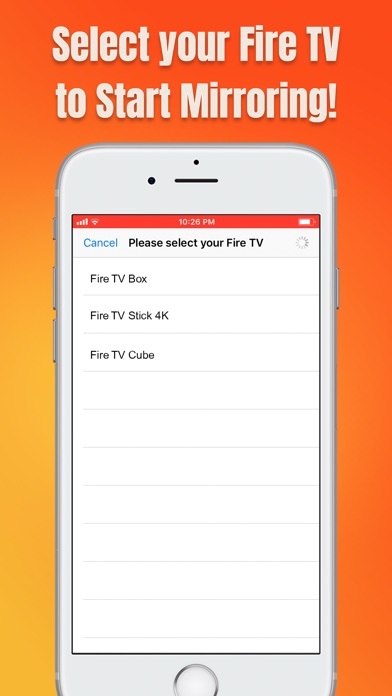 Open the app and tap the "Connect" button in the upper-right corner, then select your Fire TV to start mirroring! Finally, please select the icon on the bottom bar, which represents the orientation (portrait or landscape) you will use. 5. 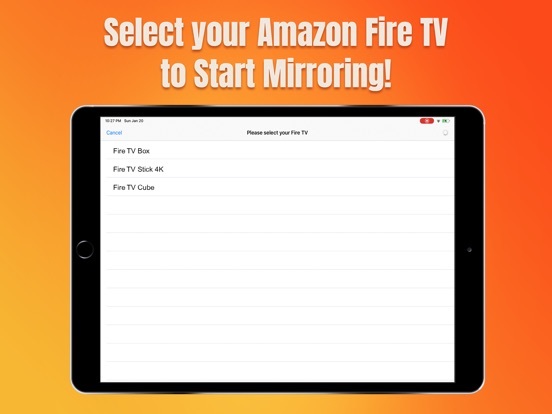 Soon you should see your iPhone/iPad screen mirroring on your Fire TV! 1. Open "Control Center" on your iPhone/iPad and tap the flashing Red button once. Screen mirroring will stop. 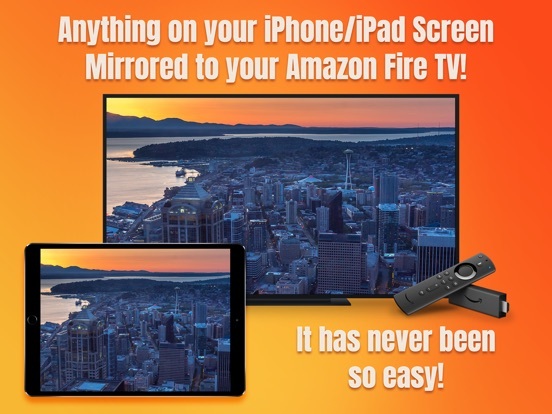 • Mirror anything and any app on your iPhone/iPad screen to your Amazon Fire TV in high quality. - Fire TV Box (2014/2015/2017/4K), Fire TV Stick (2014/2016/2018/4K), Fire TV Cube, and various Fire TV-powered Smart TVs (Insignia, Toshiba, Element, etc.)! • If the app fails to find your Fire TV or fails to mirror, please restart your router, iPhone/iPad and Fire TV. • If you encounter problems, please contact our technical support.